Understanding the pulse of the rasika or connoisseur of music is a trait only a few learn, and even fewer master. Padma Bhushan awardee Sudha Ragunathan is one of those carnatic musicians who can judge the audience with just a fleeting glance and improvise on the go, leaving the connoisseur pleasantly surprised. 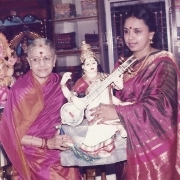 Critics point out that audience engagement sets apart this evocative singer who has trained under the legendary M L Vasanthakumari, mastering a school of music that presents a striking combination of melody, rhythm and intellect, often bringing to the forefront unfamiliar ragas or musical modes, and adding innovations. At her Alwarpet residence in Chennai, she attends to everyday chores, bids adieu to her husband Ragunathan, and glides into interview mode with ease. She’s clad in a simple blue cotton salwar; no makeup, jewellery or the crisp kancheevaram her fans are accustomed to—just the signature bold red bindi and trademark smile. “People are often surprised I can dress like this. On stage, I think it’s important to present a neat package,” she tells Harmony-Celebrate Age as she settles in for a conversation. Performing annually at the renowned ‘Madras Music Season’ since 1990, audiences, contemporaries and pundits in the classical music world unanimously cite her as a leading female vocalist of southern India. The contemporary doyen of Hindustani classical vocal, Sangeet Martand Pandit Jasraj once remarked that her music “combines intellectualism with bhava”. 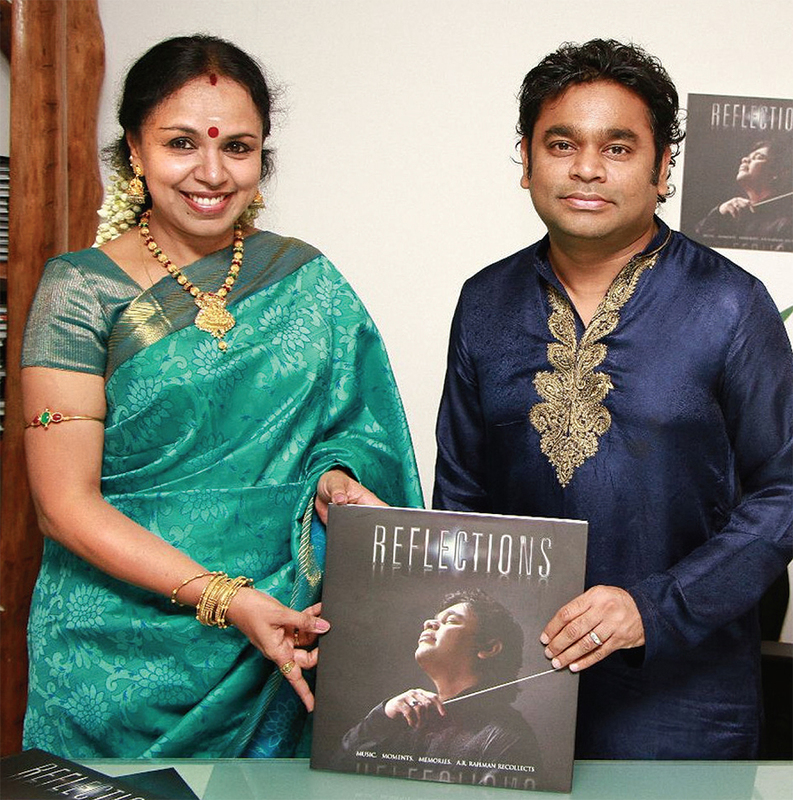 Indeed, with her style, performance and mellifluous voice, Ragunathan has won both critical and commercial acclaim. Adding to the plethora of awards, she recently brought home the Lifetime Achievement Award by the Chennai Cultural Academy and the Sangeetha Kalasikhamani Award by the Indian Fine Arts Society. “Every award has a special place in an artist’s life,” she says, as she talks about her musical influences, her bid to popularise Carnatic music, and causes close to her heart. Let’s start at the beginning. Were you trained to become a carnatic vocalist? Till the age of 18, I had no inclination of becoming a professional singer. I wanted to become a gynaecologist. I was a bright student, and was one of those who always raised her hand at the examination hall for more sheets of paper to write. I was good at writing, my dissections were perfect and my presentations were fantastic. When I was three years old, I was able to recite the Venkateshwara Suprabatham. Assured of my skill, my mother began to teach me carnatic music. So, technically speaking, your mother was your first guru? My mother played an important role in my life, especially in my childhood. She was the first person who sowed the seeds of music in me. If it were not for her perseverance and commitment to exposing me to competitions and pushing me each and every time, I may not have pursued music so deeply. As a child, I took part in competitions and sang simply because I had an audience that cheered and there were prizes to be won! My formal training with Vidwan T V Viswanathan and B V Lakshman began later. Successive wins at singing competitions led me to apply for the Central Government Scholarship in 1977 where I sang a few phrases from Gowrimanohari raga to a panel of judges comprising violin maestros T N Krishnan and M S Gopalakrishna and vocalist T M Thiagarajan, who nodded their approval. Soon, I was learning under the wings of MLV amma. 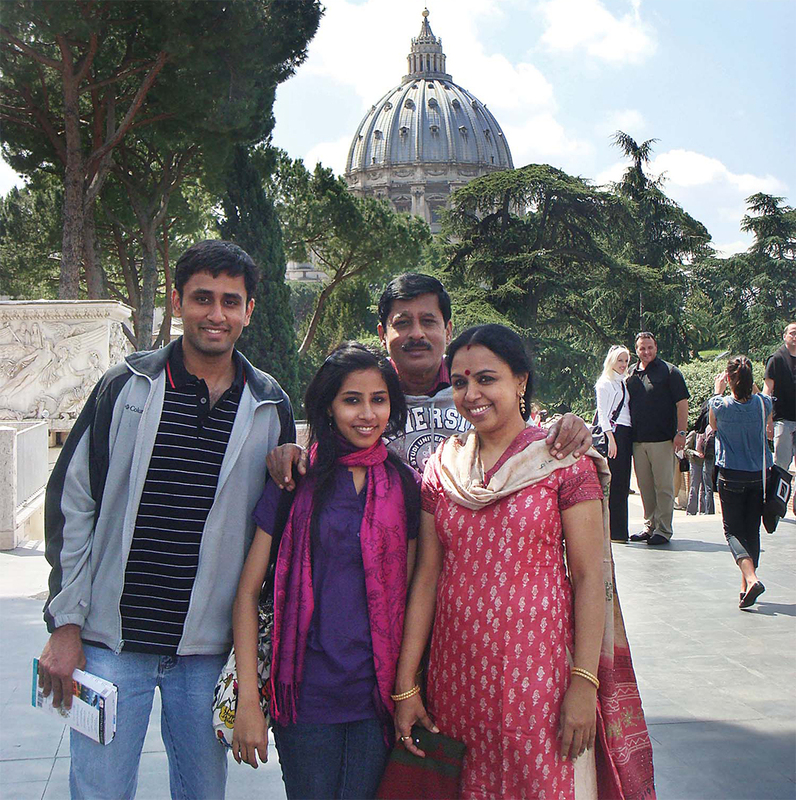 What was the key learning from your teacher and guide M L Vasanthakumari? As I began learning from MLV amma very early in life, my mind was like a sponge and I would absorb whatever I heard. Amma would say, “Never waste a sangati or a swara.” As learning was more by observing, she ensured we gave her our undivided attention while she sang. Hers was creative music, on the spot. Amma has been an inspiration in many ways. For her, courteousness towards the audience was a must. Meticulously planned concerts, which included so much of spontaniety as well, were her hallmark. Stage presence was very much part of the presentation. MLV amma would always say that when you are on stage, it’s not only about singing but how you present yourself. There must be both an aural and a visual appeal. However, the most important lesson she taught me was to live life to the fullest. A strong role model, she shaped my life as an artist and young woman. Her demise in 1990 left a vaccum. At that time, I was pregnant with my second child. It was the December music season in Chennai and I sang through the season in full term. My daughter was born soon after the concert season and I named her Malavika, a name that echoed the initials of my guru, MLV! Do you follow MLV’s unconventional methodology while teaching? With MLV amma, there were no classes, except the opportunity to tag along, observe and learn. After a whole year of strumming the tanpura at her performances, I graduated to becoming her second voice. Sharing a stage with MLV was not for the musically weak; her exploration with the raga, impromptu improvisations and inventions could challenge the most seasoned performers. Taking on the Vasanthakumari bani [style], I learnt to adapt and make improvisations on stage. When I teach students today, I do lay stress on observation but, most important, I tell them to practise and listen not to my music alone, but to different vocalists and music forms. Do you incorporate technology in your classes? I am fairly comfortable using technology, though when it comes to teaching I am still a little old-fashioned. There is nothing like sitting with a guru and learning. Accuracy of learning comes when you sit with a guru. For someone who has already crossed a certain stage of learning and is settled abroad, online learning may be useful, because the interest needs to be taken forward. As long as it does not affect the structure of teaching and dilute the art form, the use of modern technology is fine. I do teach online and I am also working on an online learning project. Personally, I use the Internet, iPod, iPad and so forth to learn, listen and teach. Recently, right before a concert, I had a doubt on a thalam [rhythm] and immediately googled it. But, being completely dependent on technology takes the whiff away from the experience. There is a definite charm in the face-to-face method of learning—there is a guru bhakti. Growing up, were you witness to a musical environment at home? Our household witnessed a lot of dialogues and discussions on music. Like I said, my focus was academics during childhood. Though I would not be active in these discussions, somewhere these conversations and comments settled down in my subconscious, shaping me into the person I am. Today, both my sister Chitra and brother Prasad are graded artists in Prasar Bharati. However, they have not taken up music professionally. In college, you were conferred with the ‘Outstanding Student Award’ three years in a row! Yes! I enrolled for a BA in economics in Ethiraj College. While I participated in almost all extracurricular activities, it was music that came first. I was called the nightingale of the college and was the first one to perform a hat-trick by receiving the award all three years. Technically speaking, many singers were better than me. But I was able to naturally connect with the audience right from my college days. The faculty and students would come and attend the concert if they knew I was performing. What do awards mean to you? As much as the Padma Bhushan means a lot to me, I have a special place in my heart for the Sangeetha Choodamani Award conferred by Sri Krishna Gana Sabha, Chennai, in 1997, as it bears my mother’s name Choodamani. Today, there are many awards given to performers by organisations that encourage more takers to this profession. It was different when I started off; there were just a handful of full-time carnatic singers. So, it was easy to spot quality performances. Today, an increasing number of young boys and girls have decided to make carnatic music their vocation. It is the golden era for carnatic music. Your recent performance brought to the forefront women composers in the world of carnatic music. Somewhere down the line, women composers have been sidelined. Most people are not aware of their significant contributions to society. In the first concert in November 2016, we presented songs by three women composers. In the second part of this initiative, we plan to present the works of eight women composers, beginning with Tamil poet Avvaiyar. However, the carnatic music world is primarily male-dominated. There are a few who attribute the success of women vocalists to their gender and glamour. Sadly, they fail to see the hard work and effort that has gone behind making a successful performance. You received a standing ovation at the UN recently. Tell us more about the experience. 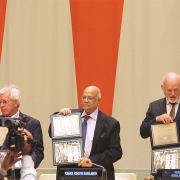 In October 2016, the UN released a postage stamp to honour India’s most celebrated carnatic music artist M S Subbulakshmi, who had performed at the world body 50 years ago. I was told I would be receiving the first stamp just two days before the show. I was surprised and really excited. To conclude the ceremony, I was invited to sing. I sang songs by MS amma as well as Gandhi’s Ram Dhun. I performed songs in seven languages, including Bengali. Have you been inspired by MS as well? While growing up, I used to listen to Venkatesha Suprabatham and Vishnu Sahasranamam that would play daily at home, and hum along as I got ready for school. I was MS amma’s sing-along friend in my own little world. Having heard her music at that impressionable age made all the difference. I longed to see the owner of that divine voice. And I did so at 19 years of age, when I visited her with my esteemed guru MLV amma. One of the very special interactions I had with her was during the inauguration of the annual doll exhibition at Khadi Gramodyog Bhavan in Chennai. I sang the invocation and MS amma gave me the first doll. At the event, I got the opportunity to sing Kurai ondrum illai with her. When you were at the peak of your career, you launched Samudhaaya Foundation. Was seva a planned step? I’ve always been conscious of the society we belong to. I am an emotional person and make a conscious effort to help people in whatever way I can. The stories of families of soldiers who died during the Kargil War moved me to launch Samudhaaya Foundation in 1999. The reason I started my own trust was because I could choose the causes I wished to support. Since inception, I have been the face of the organisation and make it a point to personally visit corporates to raise funds. For every cause, I make a checklist and personally make calls to fix appointments to make presentations. There are many people out there who are happy to support a genuine organisation. I have been able to establish my credibility and people know that their donation reaches the right people. When I find a cause that we wish to support, we create a concert and raise funds for that. After the event, the cheque is laminated and the beneficiaries are invited to come and collect the funds. Your performance at Puzhal prison in Chennai was a bold step. I believe music is for everyone; I have made several attempts to take carnatic music out of air-conditioned concert halls. It took two months of endless bureaucratic tangles and patient persuasion to organise a performance at the prison. Performing for prisoners was a unique experience. While interacting with them, I realised they do not want to be there. They regretted what they had done and wished to go back to mainstream society. That performance had an emotional connect. It was an hour of absolute bliss! It’s rare to find carnatic musicians taking up modelling assignments. But you did that as well! challenge climbing rocks and balancing with a pattu saree! I have also been the face for Dheepam oil along with other musician colleagues. You also forayed into films…. Well, entering the world of film music came as a surprise to me too. Every genre of music has unique requirements—from the way the microphone is used to the layers of emotion and depth of notes that need to be presented. When Illayaraja sir gave me the opportunity to sing in his Tamil film Ivan, he said the song had been created keeping in mind a carnatic musician. The song was challenging, but as a person who enjoys experimenting I was happy that I signed up. The visibility and reach you get through film music is immense; at one point you think you’ll just do one film song a year, but once you are into it, you want to give each challenging project a shot. Next, I got the opportunity to lend my voice to actor Shabana Azmi’s character in the film Morning Raga, which sketches the life of an aspiring carnatic musician. Even today, the song from that film is popular; it gave me a connect with the younger generation. You turned music composer with a Tamil film last year. Yes, director Vasanth’s Sivaranjaniyum Innum Sila Pengalum, reported to be a ‘pro-women film’, introduced me as a music director in 2015. I’ve known Vasanth for a long time and when he asked me to score the music for this film, I had no reservations. I’ve also been roped in for his next film Thaneer, which is based on a story by novelist Asoka Mithran. In your journey as a professional carnatic musician, have there been any speed breaks? With the grace of God, there have been no major speed breaks in my life. Marriage can make or mar your career. I’ve been blessed with an extremely supportive family. In fact, MLV amma told Ragunathan before our wedding, “Sudha is just a sapling now. You have to let her grow. You have to give her space, room and time. That will mean a lot of sacrifice on your part.” My husband, who owns Amutham Music, has given me all the support from day one. That is why I am where I am today! 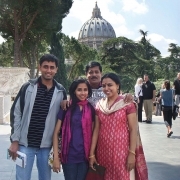 My children Kaushik and Malavika have not chosen to pursue music as a career. Kaushik is faculty at Harvard University and my daughter is doing her master’s in special education. They are well exposed to the world of music. I’ve given them that space and freedom to listen to any kind of music they like. My son’s always seen with ear plugs on. During their childhood, Ragu and I made up our own songs for them as lullabies! Way back, I used to write a lot of poetry, though I can’t write a single line now. I read a lot of books, both fiction and motivational. I think the latter genre is essential and helps one be elevated from within. As a musician, I need to energise myself. When you are at peace with yourself, a peripheral sheen is added. I listen to a lot of film music and enjoy the old songs of MLV amma and Illayaraja sir. I also listen to Rahman’s melodies and numbers by Hariharan, Shankar Mahadevan, Shreya, Chitra, Karthik and Chinmayi. How do you maintain so much energy on stage and off it? I have that kind of energy within me that opens all doors. I keep asking myself, how can I improve? Sometimes it’s through yoga, sometimes the gym. Mostly, I meditate. I work out to feel energised. On concert days, I meditate and speak less. I drink lots of warm water and avoid cold food. But that rule does not apply while I’m on a holiday!